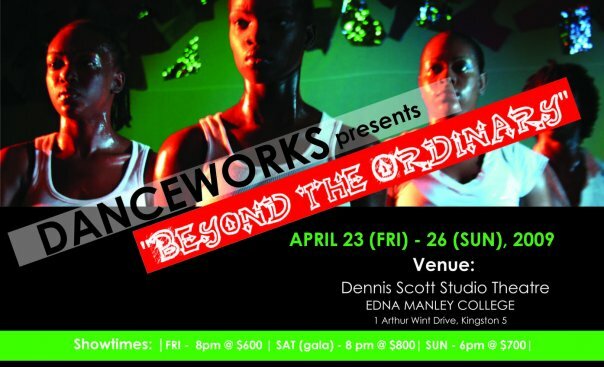 Another great event this weekend- Danceworks celebrates their 13th Season of Dance, “BEYOND THE ORDINARY”. Danceworks is the performing arm of the Jamaica School of Dance including dancers from 1st, 2nd and 3rd year, part- and full-time students of the School who are pursuing studies in Dance Theatre and Production or Dance in Education. For more information call 968-0027. As an ex- Danceworks dancer, I highly recommend supporting these young dancers!